Remember my delight when finally the 'Going Coastal' line by 'Crazy Old Ladies' came out ? That was back in September. One might think all the uhhing and aahhing about it would have led to quilt straight away but I couldn't make up my mind which pattern to use. Particularly problematic proofed the bottle tops as they are difficult to fussy cut owing to the lack of surrounding solid space. In addition I did not want to cut through them under any circumstances. So in the end I decided on the humble square. 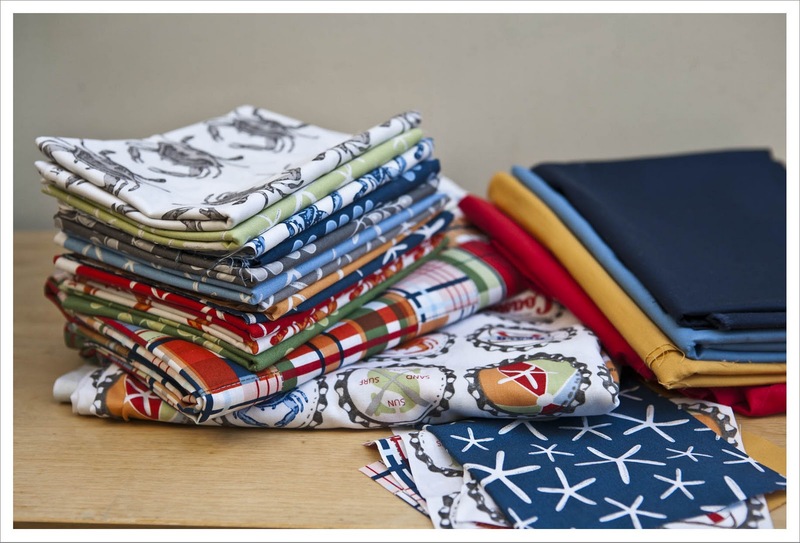 I don't know about you but I do rack my brain to the point of overdrive to find the best pattern for the fabric and often think first of the humble square but then disregard it at the same moment because it is "to easy". 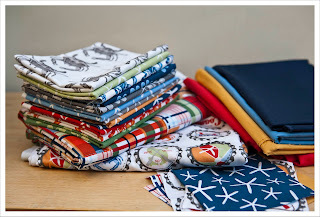 And then after a while of trawling through flickr and all my books I find myself going back to it because it is the best choice for the fabric. And I think this is the case here again. I actually think some of my best quilts are made of squares. While going back to look for them on my blog I found that I actually only made 4 quilts from squares and I always thought it was way more. My favourites are 'Sleeping beauty' and 'Hey Ho Sailor', which actually sailed as far as to New Zealand where it found a new home. What do you think about the humble square ? Last Sunday after I finally warmed up a trifle I cut all the fabric and pieced the top for the most part (well that is another advantage of the humble square; it is fast and undemanding). I added a few solids because I can never not put a bit of solid fabric in a quilt. To jazz it up this baby here needs a lot of quilting, don't you think ? I do the same thing and deliberate for hours over the perfect pattern, then realise that I think squares are sometimes best. I think your quilt is going to be fantastic! I've promised to make my friend a "squares" quilt. I tried to disuade her, but she wouldn't be distracted! But this looks super, so I'm a bit happier! I've been having a love affair with these fabrics also and did a simple square quilt also. I think you can't go wrong with such a wonderful line! Squares are fun! I love the fabrics on here! Woo hoo! 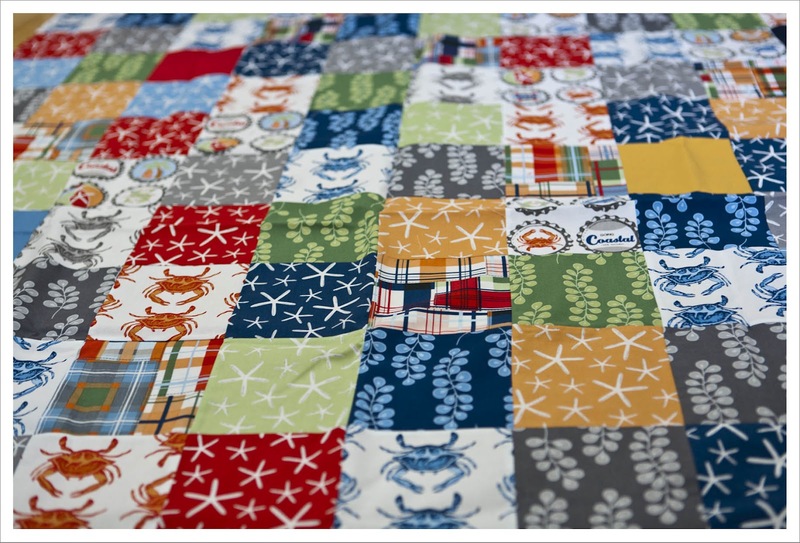 I think a lot of quilting will be wonderful! I love it. Great result so far but then you have started with some great fabrics!